The chance of normal survival for patients with inflammatory bowel disease is generally good. There may be a small excess mortality for those with Crohn's disease; however recent studies do not confirm this trend. For those with ulcerative colitis, there may be an excess mortality in the first two years after diagnosis, especially in those who undergo surgery. The necessity for an operation varies, but at least 50% of patients with Crohn's disease will be an operation in the first 10 years; whereas only about 20% of patients with ulcerative colitis will require a colectomy. Most patients with inflammatory bowel disease are able to lead a normal life and are not disabled by their disease. The prognosis in the elderly is usually good; however there is an increased mortality over younger patients, which is probably due to the presence of coexistent disease. Children also have a slightly higher mortality; this may be due to the relative frequency of a particularly extensive disease and the development of colorectal cancer. Growth retardation occurs in up to one-third of children with Crohn's disease, but it may be resol" d if remission can be obtained. Pregnancy has not been shown to have an impact on inflammatory bowel disease, but its onset during pregnancy confers a significant risk for both mother and child. Extensive involvement is a poor prognosis factor in both diseases; conversely, isolated small bowel Crohn's disease and ulcerative proctitis carry particularly good prognoses. A short clinical history, fistulae or abscesses at presentation probably represent an aggressive form of Crohn's disease. Hypoalbuminemia, anemia and raised inflammatory markers are laboratory markers which suggest a worse prognosis in the short and possibly long-term. A diversity in infant feeding patterns exists throughout the Middle East. Wide variations in cultures, languages, ethnic background, religions and social practices should be taken into consideration, when designing programs to promote appropriate feeding practices. Strategies applied in one community might not be appropriate for another. In order to be effective, these should be incorporated into overall primary health care programs. Acute diarrhea is one of the most prevalent serious health problems in infants and children. This article provides an update on diarrhea and malnutrition, with particular emphasis on their interactions in pediatric patients. The current concept of intractable diarrhea of infancy is that of a heterogeneous syndrome with diverse etiologies. The purpose of this review is to provide an update on this group of dis­eases. As modern diagnostic techniques become available, new disorders will continue to be recognized. Chronic hepatitis B & C represent major medical problems in both adults and children. The purpose of this article is to focus on pediatric aspects of these two types of viral hepatitis. Wilson's disease, first described in 1912, is a familial disease involving copper metabolism. This article reviews recent developments in the genetics of the disease and their implications for the diagnosis and treatment. Spontaneous bacterial peritonitis (SBP) is an infection of the ascitic fluid without obvious intra-abdominal source of sepsis; usually complicates advanced liver disease. The pathogenesis of the disease is multifactorial: low ascitic protein-content, which reflects defi­cient ascitic fluid complement and hence, reduced opsonic activity is thought to be the most important pathogenic factor. Frequent and prolonged bacteremia has been considered as another pertinent cause of SBP. This disease is associated with high mortality and recurrence. Therefore, orompt recognition and institution of therapy and plan of prophylaxis is vital. 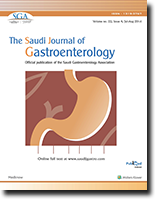 Gallstone prevalence is correlated with geographical and ethnic variations. It is more preva­lent in Western communities. There are evidences for a high prevalence in Saudi Arabia. According to their chemical constitutes, stones are classified into cholesterol, mixed and pig­ment stones. Three main factors, saturation, gallbladder function and nucleation defect are implemented in the pathogenesis of stone formation. Majority of gallstones patients are asymptomatic. Dyspeptic symptoms are not specific. 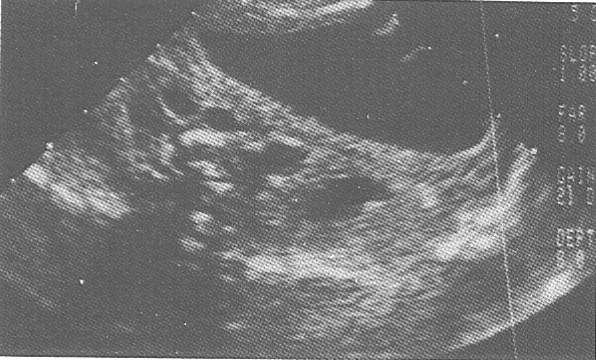 Ultrasonography has become the method of choice for screening and diagnosis of gallstones. Cholecystoscintigraphy is accu­rate in the diagnosis of acute cholecystitis, biliary obstruction and bile leak. Treatment of gallstones will be discussed in the following issue.